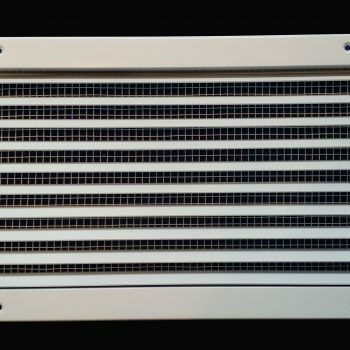 Our Premium Aluminum Intake Vents for the Garage Doors or Exterior Walls You Won’t Find Any Place But Here! Our Custom Aluminum Intake Air Vent is an enhanced version over our standard steel intake grill that ships with all of our garage fans. 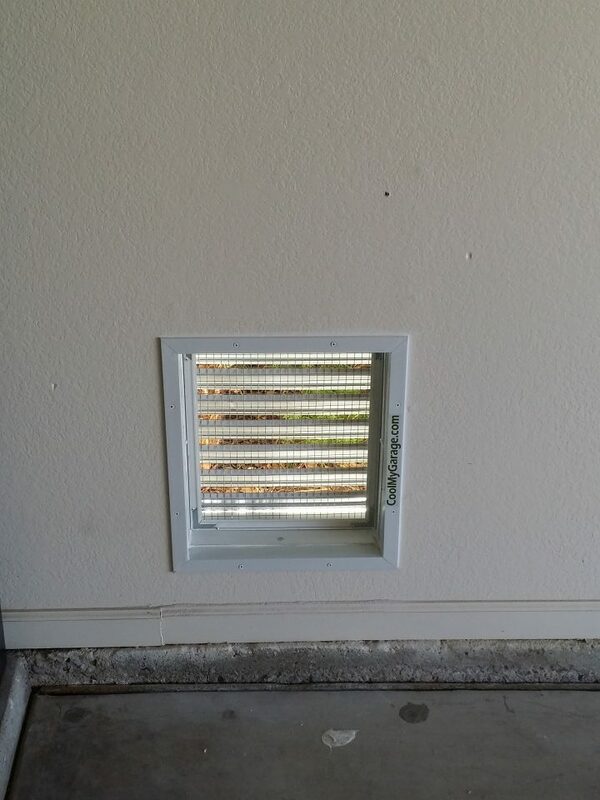 We also check out our NEW Thru-The-Wall Vent for those who do not want the intake vents in the garage door. 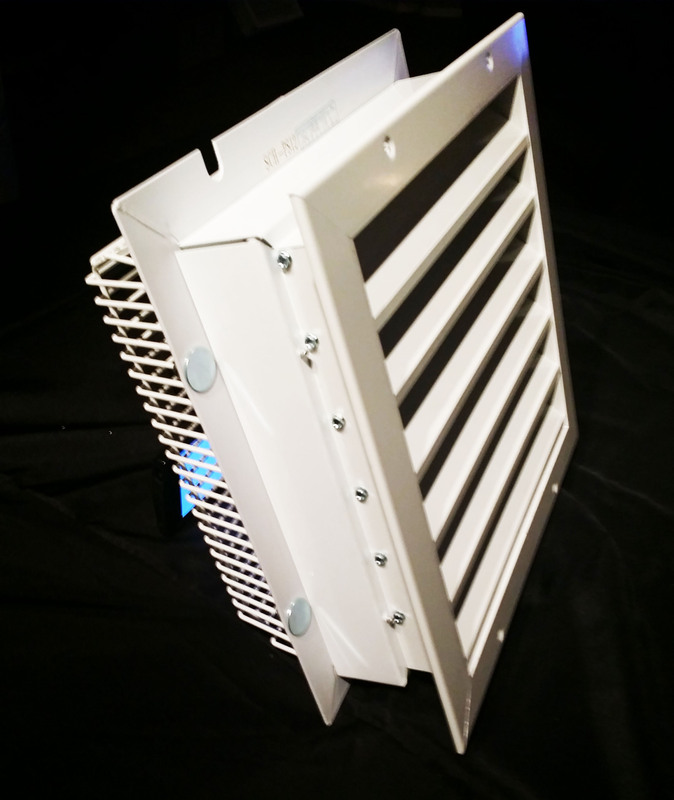 Now you can order them with our exclusive bee screen. 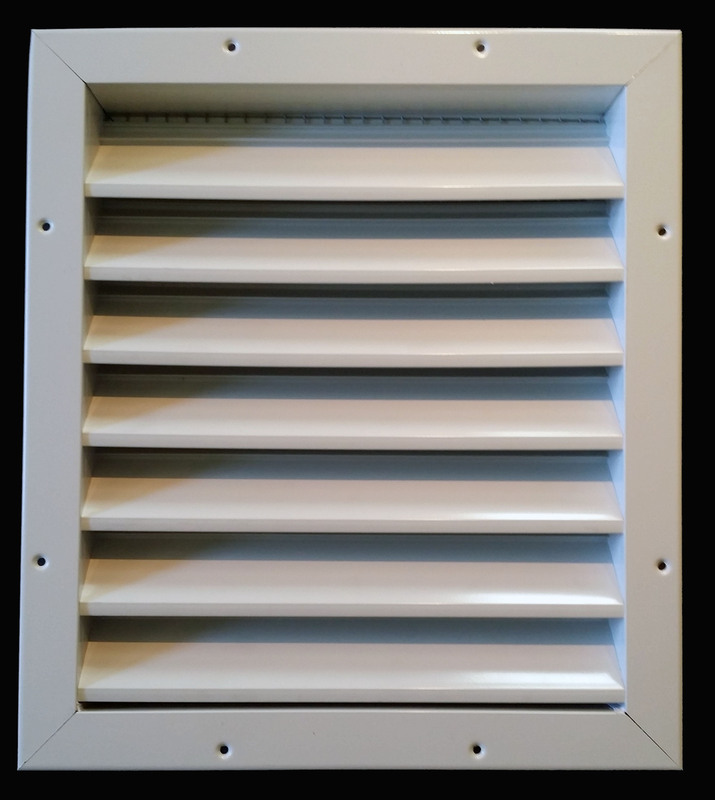 Premium Aluminum Air Intake Vent for the Garage Doors and Walls. 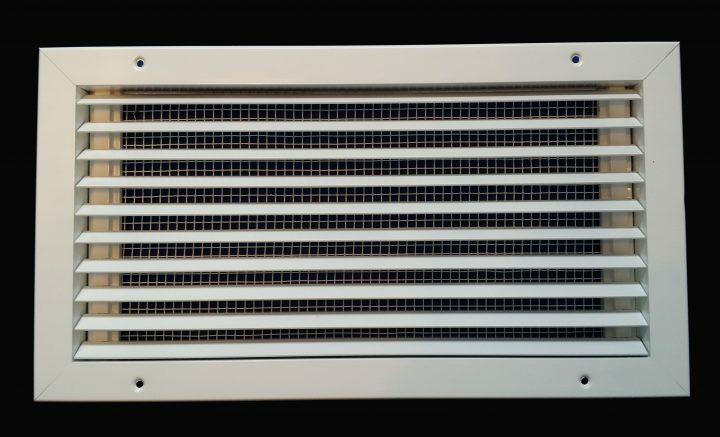 Our Custom Aluminum Intake Air Vent is an enhanced version over our standard steel intake grill that ships with the GF series fans. 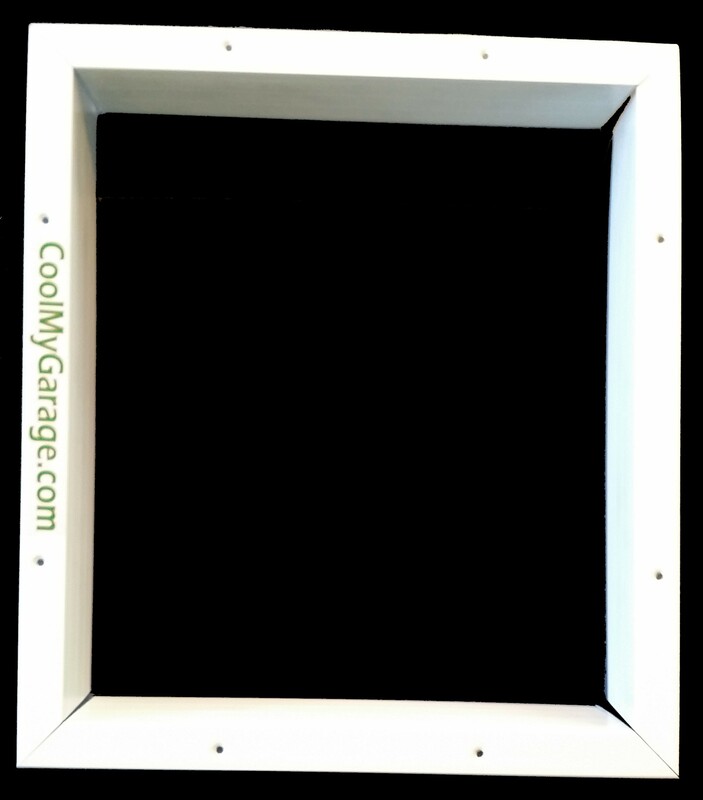 Now you can order them with our exclusive insect screen. 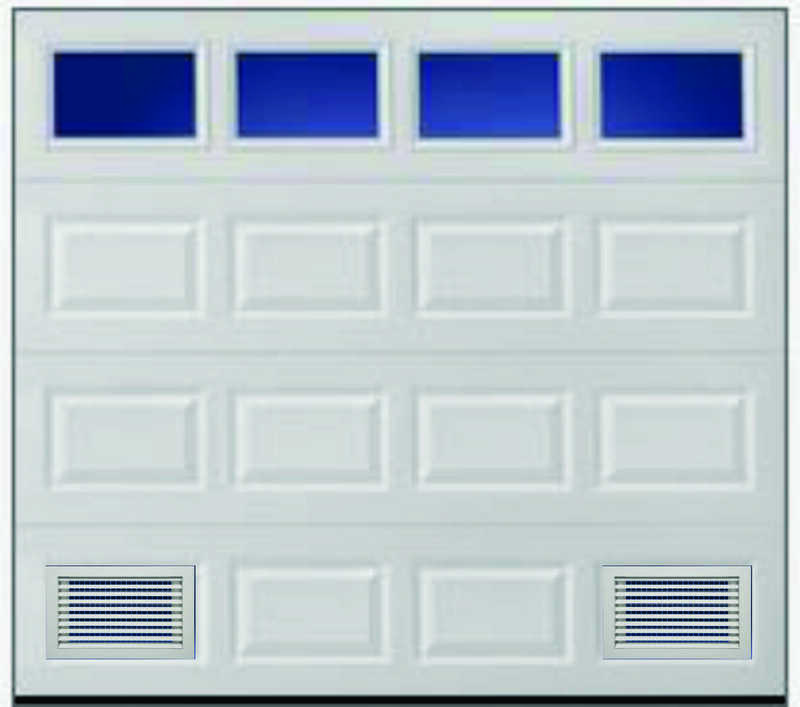 Our garage fans are designed to give you maximum performance for years to come. 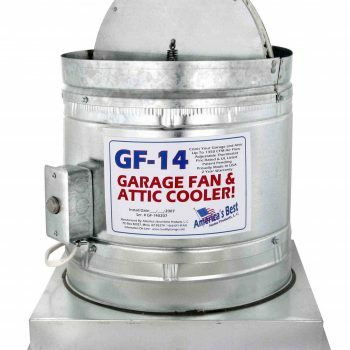 The GFT-16 or GFT-18 through-the-wall fan exhausts to the outside is great for a 2 story home with rooms above the garage or flat roof homes. 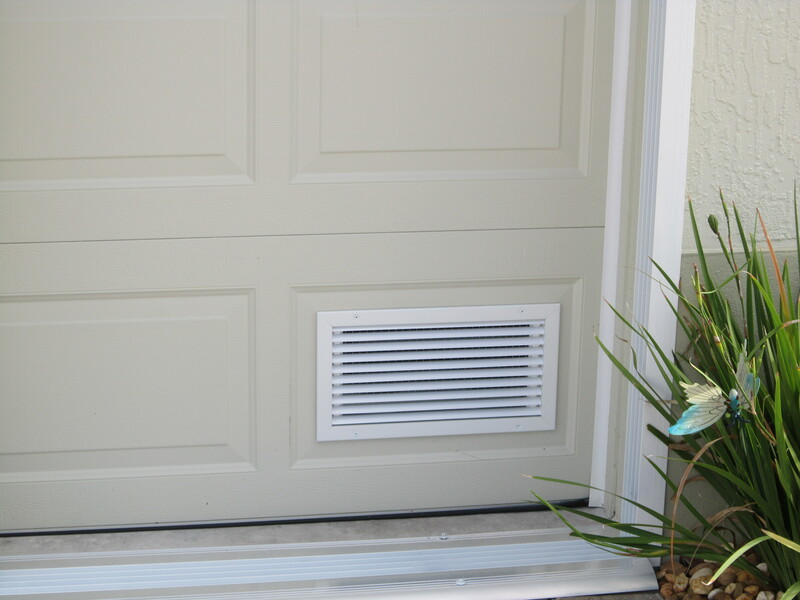 Properly-sized intake vents are mounted in the garage door or wall taking in outside ambient air and cool the garage up to 20 degrees. Our new Intake vents will give you improved air flow and it is designed to fit the standard raised panel door as shown. 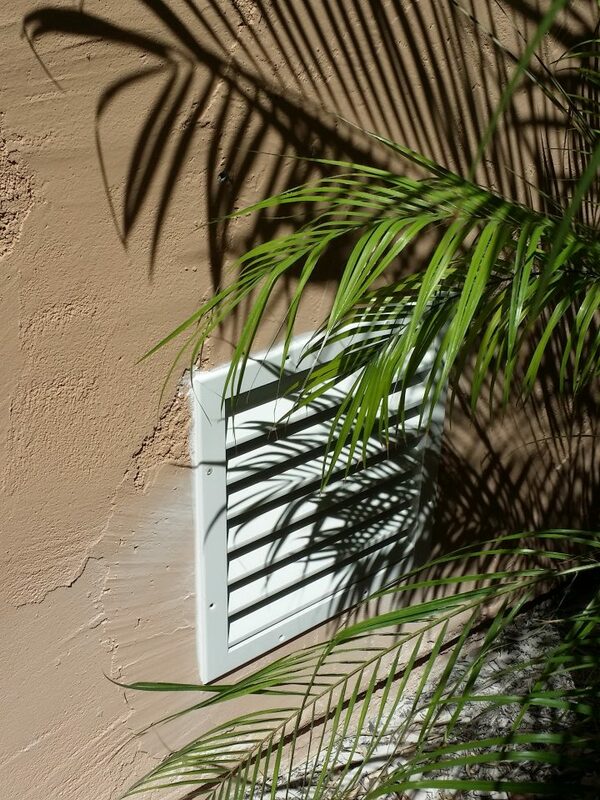 You may want to also check out our “Exclusive” wall intake air vent. Manufactured entirely out of aluminum this vent has it all. You will be impressed with the amount of air that come in through this vent. 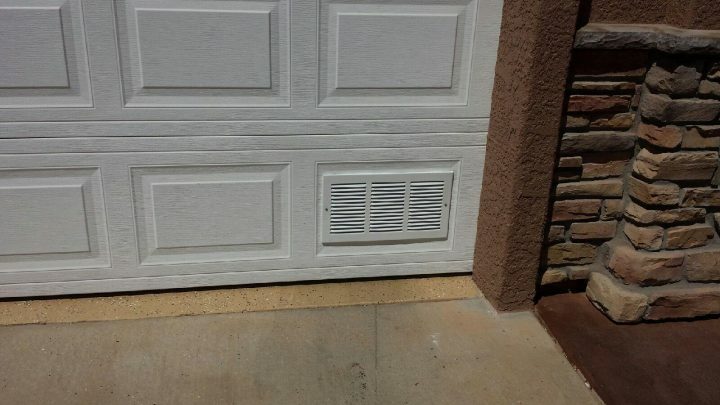 16″ x 8″ Intake Vent Fit in the Raised Panel of The Garage Door. 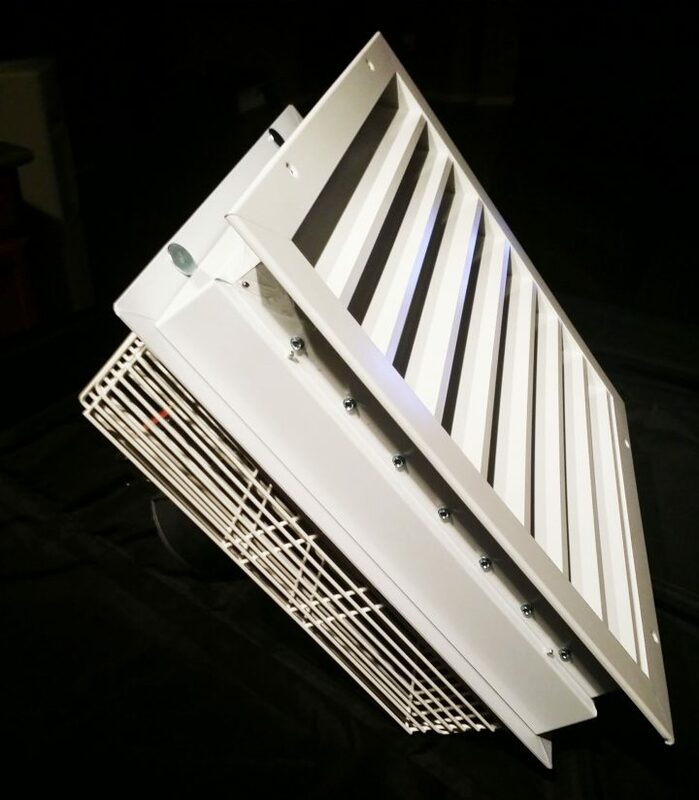 (NEW) 14″ x 16″ Through The Wall Intake Vent with Interior frame and expandable from 4″ to 8″ Wall Thickness includes Insect Screen. 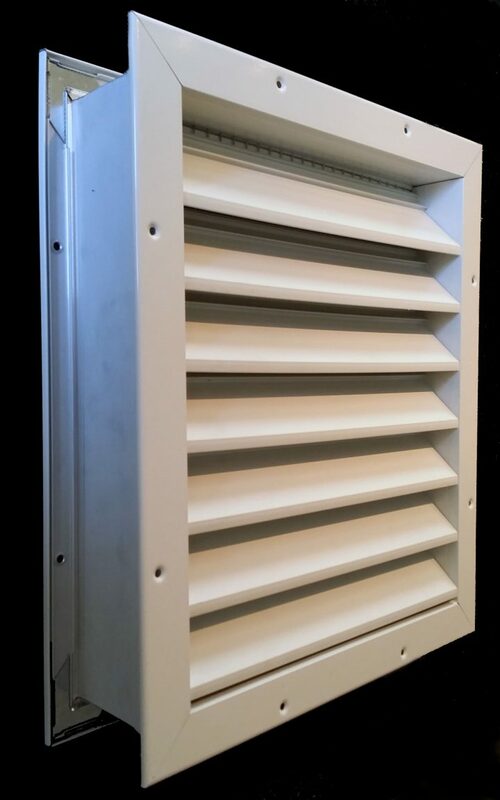 (NEW) Storm Deterrent Bug Screen Exhaust Vent for GFT-16 and GFT-18 and expandable from 4″ to 8″ Wall Thickness. Fully extruded aluminum construction for a stylish appearance. 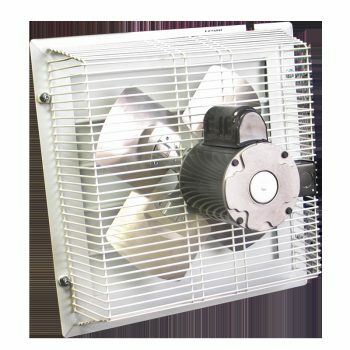 Fixed blades designed for long straight air flow. Sections joined together for continuous appearance. 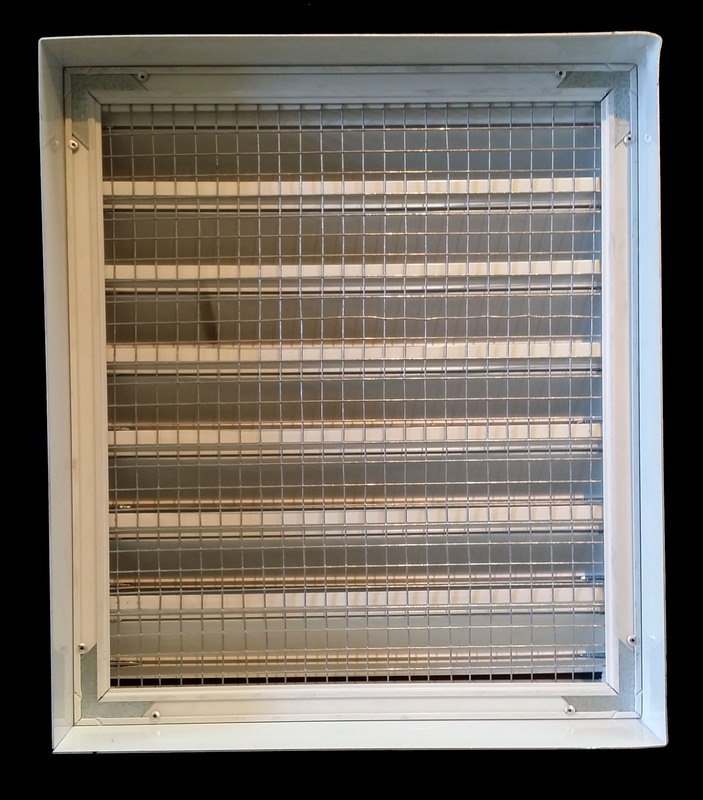 1/4″ Screened to deter insects. 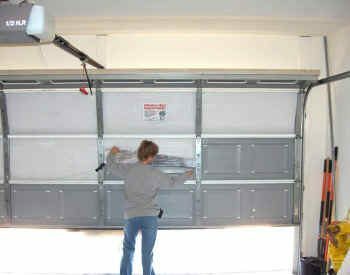 Blades are on 3/4” increments as standard at a 30 degree angle. Durable white powder coat painted finish and can be painted to match your garage door color. 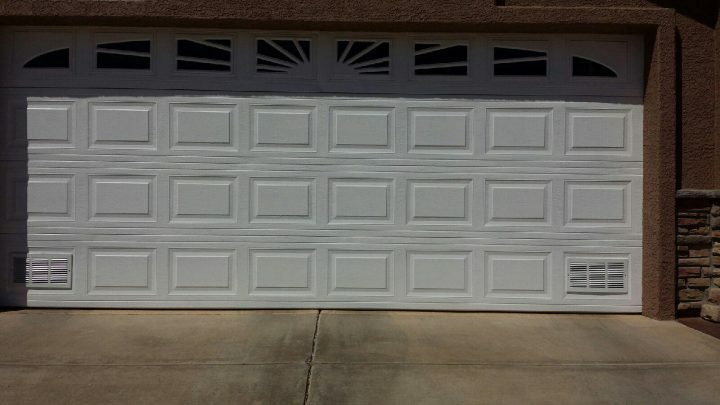 My husband says the installation was relatively easy to cut the vents into the garage door and the ceiling dry wall. We also had our garage door insulated after the installation of the vents. 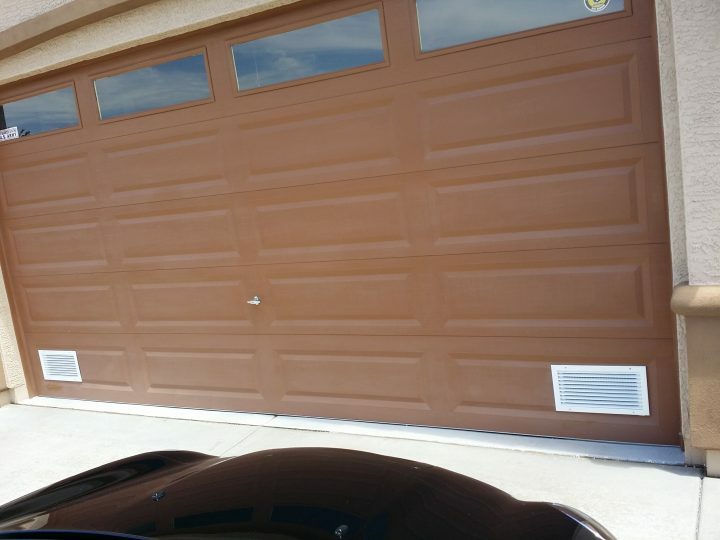 We also received the upgraded “Aluminum Intake Grilles” and they look great in our garage door and we painted them to match. We would be happy to have you use us as a reference and we surely would recommend your product to our friends and family who suffers from a HOT GARAGE. 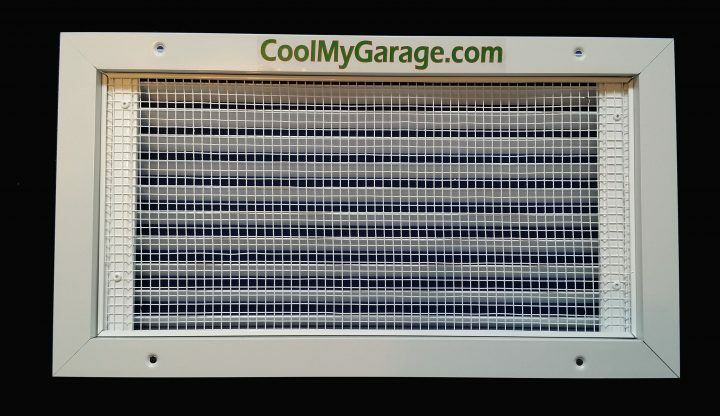 We are looking forward to having a cooler garage as summer rolls in. 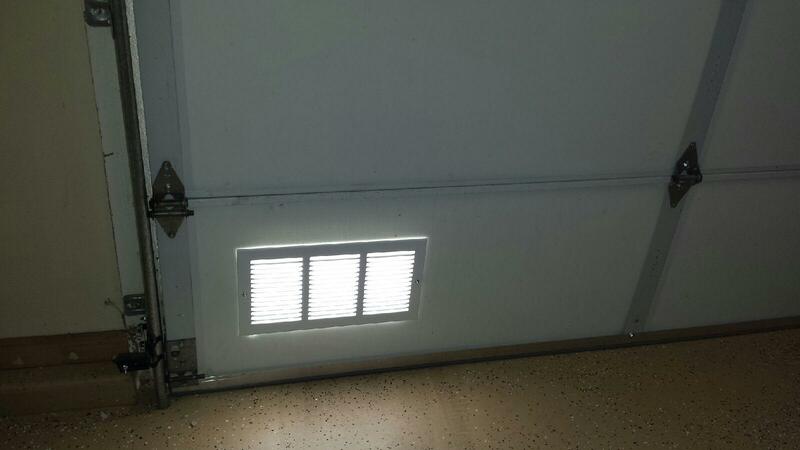 Ray, completed install of GF-14 garage/attic fan and door vents. 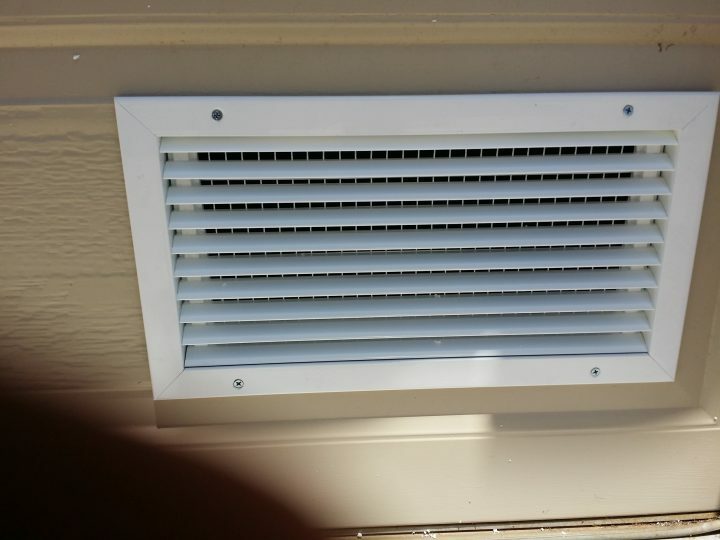 The upgrade to the new vents was a great choice. They look great and the air flow thru them is amazing. 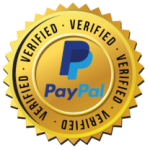 I have gotten inquiries as to where I purchased them from my neighbors and friends. I love the way they bring in extra light and air into the garage, with or without the fan running. 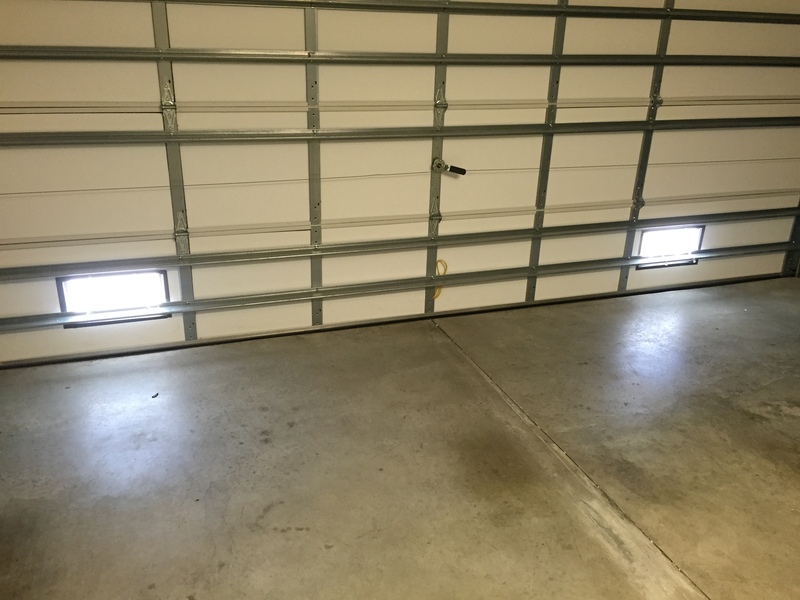 I found that the garage is at least 10/15 degrees cooler now. 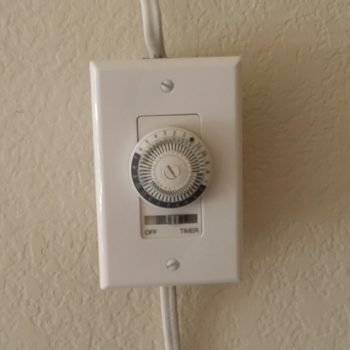 The attic is surprisingly cooler with the thermostat set at 105 degrees. 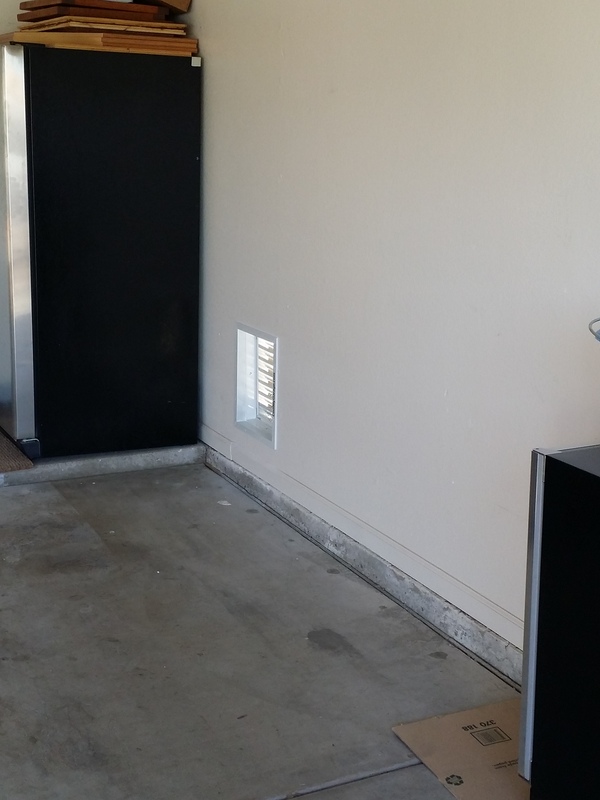 I have enclosed pictures of the vents installed and air flow, white paper, that is drawn into the garage with fan running. 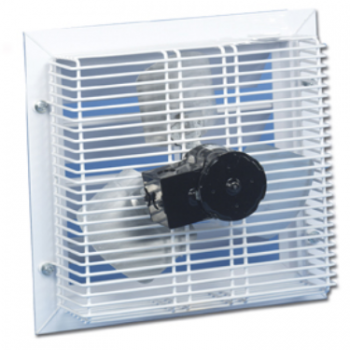 I have gotten more comfortable with the unit running and cycling ,on/off, since the install, quiet and efficient. 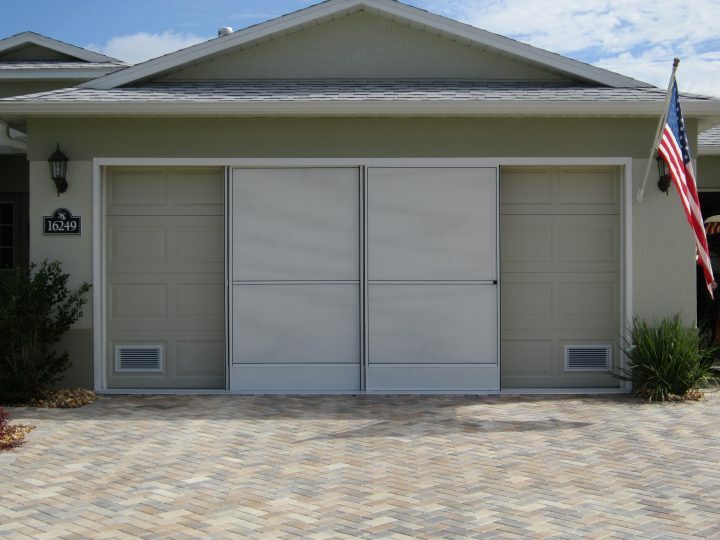 Great choice for a cooler garage and attic. Thank You again for your help and suggestions for this purchase. 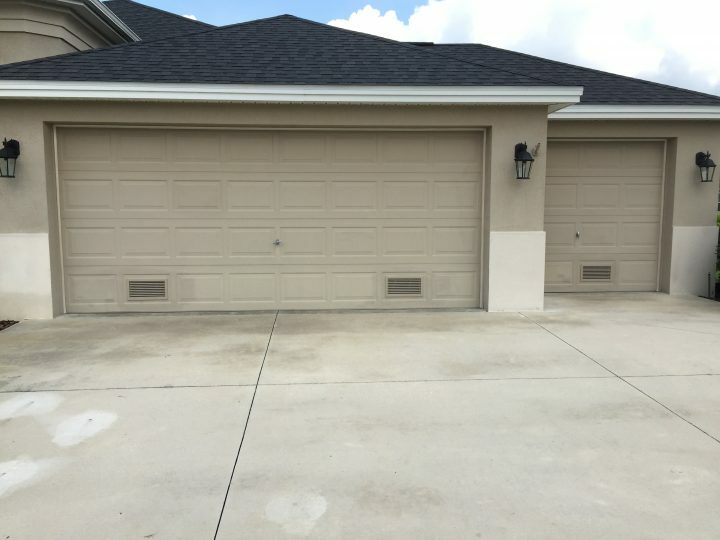 Tony Calomino, The Villages, FL.